Exit polls suggest that today’s Yes vote might be between 69% (Irish Times exit poll) and 71% (RTE exit poll). We must remember that these are only exit polls, and not the official result of the vote, which we will not know until tomorrow or Sunday. 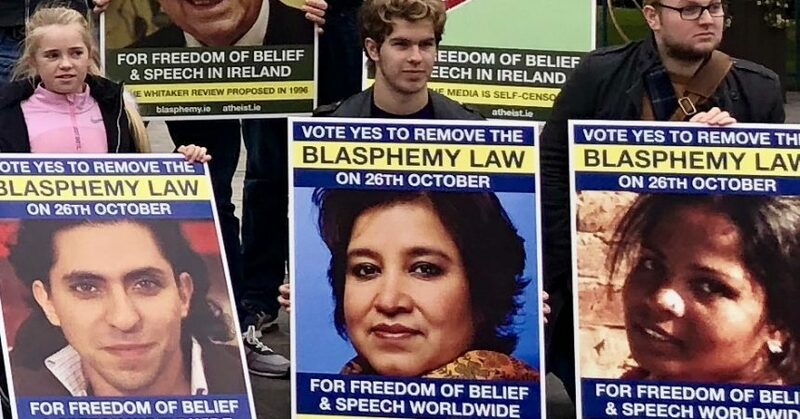 Whatever the actual result, Atheist Ireland would like to thank everyone who has campaigned for nearly a decade to make this referendum happen, and then achieve such a good vote. We have consistently raised this issue with the Irish Government and Department of Justice, as well as at the United Nations, OSCE and the Council of Europe. This includes the Law reform Commission in 1991, the Constitution Review Group in 1996, the All-Party Oireachtas Committee in 2008, and the Constitutional Convention in 2013. All of this depends on how accurate the exit polls are, and we are not assuming that they are accurate until we see the actual vote results this weekend.